Recently living Faith Fellowship was given the opportunity to partner with Prison Fellowship International (PFI). PFI is focused on bringing God’s love to prisoners and their families. A leader in justice reform, PFI is recognized by the United Nations as a consultant and content expert in prison-related issues. Prison Fellowship International has developed a unique outreach for children of prisoners who often lack in essential needs such as safety, education, health, and spiritual and social support. This outreach is a Child Sponsorship Program, where an individual or family donates a regular sum of money to support the growth and development of a child with a parent in prison. In partnering with PFI, Living Faith Fellowship committed to finding a sponsor for 66 kids from different parts of the world such as Rwanda, Colombia, and India. Recently we held a sponsorship event at our church and a total of 59 kids were sponsored! Living Faith Fellowship and PFI are thrilled at the turnout and grateful for all those who have sponsored children. We have seven sponsorship packets left and would love for each of them to be sponsored. If you are interested please contact our onsite coordinator, Mine Kirikihira, at mkirikihira@gmail.com and she would love to give you more information. A little boy, David Musiime was born on the outskirts of Kampala, Uganda, October 4, 2008. Unfortunately he was abandoned by his mother. 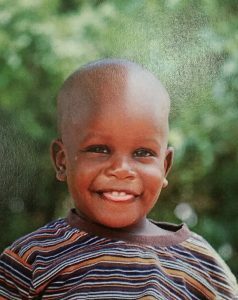 The Watoto Child Care Ministries took him into their permanent care. He now lives in a Watoto home with a devoted housemother, brothers and sisters. He gets showered with love and care, on Sundays they go to the Watoto Church where he learns about Jesus. He enjoys playing football and he wants to be a doctor when he grows up. Early this year we got a letter from him as he talked about how he recently passed his exams and moved up in his class! He also tells us that he loves to eat. The latest letter we received was in August and David made sure to tell us that he is almost 8 years old. He is learning about his Country and how God created the entire world and all of the oceans. He asks us about our continent and wants to know where we live so he can see on a map where we are. 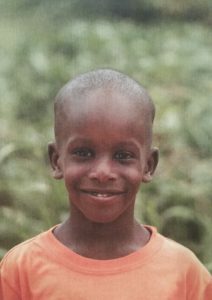 This precious little boy is learning so much and growing up to be a young man of God, and we are so blessed as a church to be sponsoring him and to be able to “see” how he is growing! In January 2012 a 7.0 earthquake devastated the country of Haiti. More than 230,000 people were killed, it left more than 300,000 injured and over 1.5 million homeless. 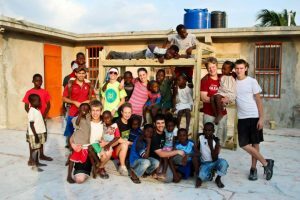 In 2012 our first team of junior high, high school, college students and adults traveled to Port-au-Prince, Haiti to work with Life is Hope Orphanage. 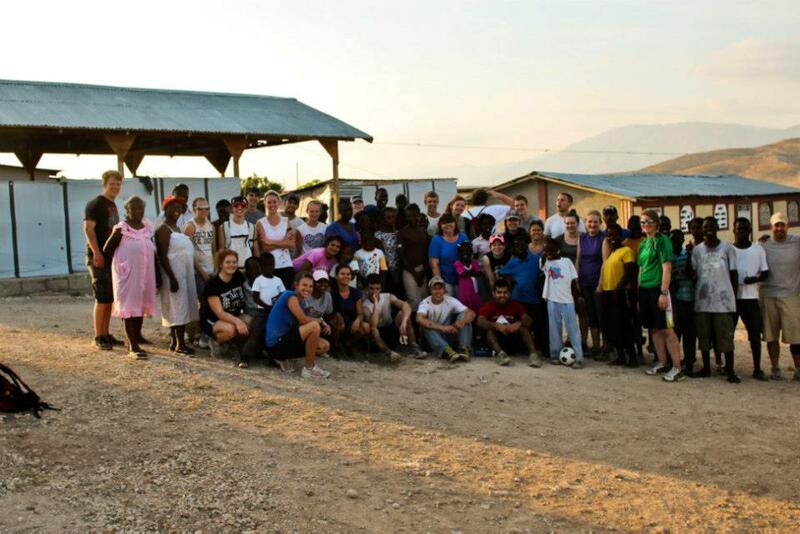 The first year our team went they helped repair damage done to the facility. This included construction projects, plumbing, electrical systems, painting and building bunk beds and assist in children’s ministry. In 2013 the team focused on putting together some vacation bible school for the kids to learn and enjoy. 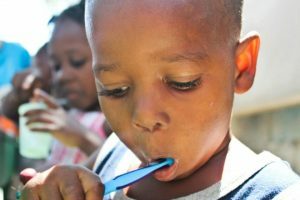 This trip also included teaching the children about hygiene, they enjoyed receiving soap and toothbrushes and learning how to not spread germs. The next time our team traveled to Haiti they focused on security for an orphanage called El Bethel. 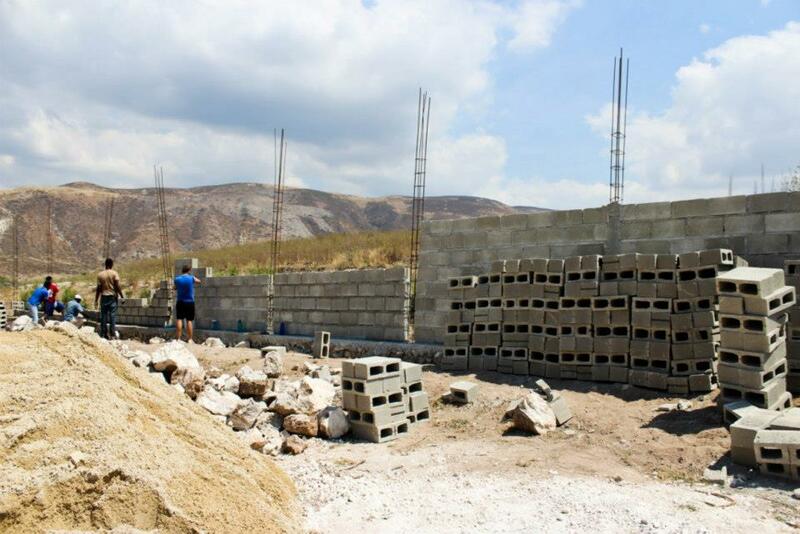 We started building a wall to improve the safety of this orphanage, this included digging, mixing cement, carrying blocks to lay the foundation of the wall and continue building the wall. Building the wall is a long process and so the last time our team went to Haiti they were able to set up some electric security measures to ensure the safety of El Bethel. 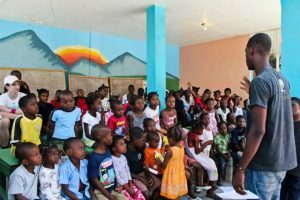 Our hope each time we go is to build relationships with, and minister to the Haitian children and people. We are excited to be going back again in Spring of 2017! With the devastation from Hurricane Matthew that hit the South side of the Island in October we are hoping to help the Haitians in any way we can, as well as continue building the wall at El Bethel and ministering to the children there. Thank you so much for the prayers and support that have been given to our missions teams, we are excited to continue going back to Haiti and ministering to the people there. 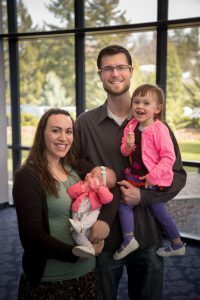 Nathan and Miranda, along with their two little girls, have been living in the country of Kosovo since September 2014. Kosovo is a small Balkan country, the population of which is primarily of Albanian ethnicity. The newest country in Europe, it only gained its independence in 2008 following a difficult conflict in 1999. Currently, Kosovo is also the poorest country in Europe. The economic situation in Kosovo is very difficult. There are not a lot of options for the 40%+ of the people who are unemployed. The political situation in this newest nation is precariously balanced. The main religion of Kosovo is Islam, although the extent to which it is practiced varies by family. The Kosovar Albanians are still considered an ‘unreached people group’. The first Evangelical church was founded in the ‘60s, but it wasn’t until the 1990’s that there were more than two evangelical churches in Kosovo. Now there are around 30. The Christian community is very small, and very young in faith. Most believers are first-generation Christians. Nathan and Miranda are involved with a church in their city, leading the children’s ministry there and Nathan is part of the worship team. In the community, they are volunteering with a non-profit youth Tech Center, as well as pursuing several project and business endeavors. They are building relationships and working toward further opportunities. To follow the opportunities that God provides to demonstrate His compassion through practical ministry. We are excited to see how God will continue to move through Nathan & Miranda while they are ministering in Kosovo.